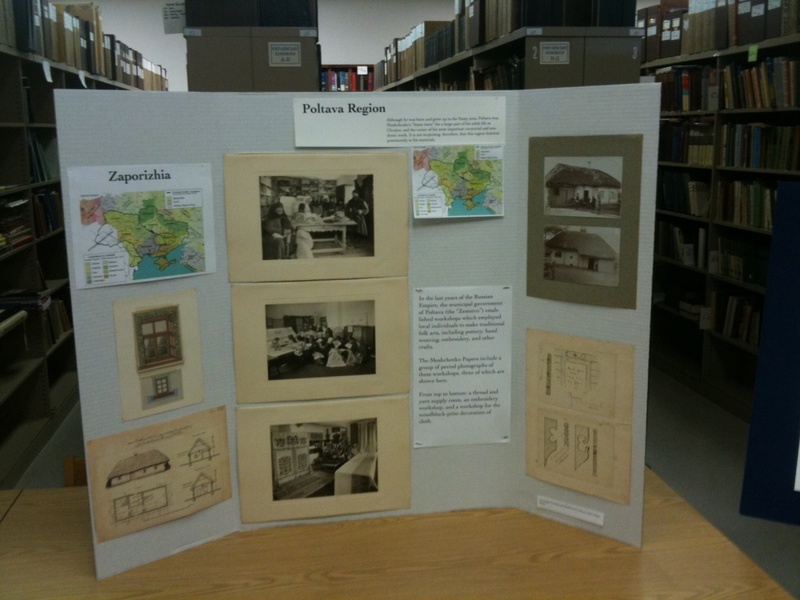 On October 9th, the UkrHEC Archive division hosted an Open House in conjunction with the New York Metropolitan Area Archivists' Round Table Archives Week. 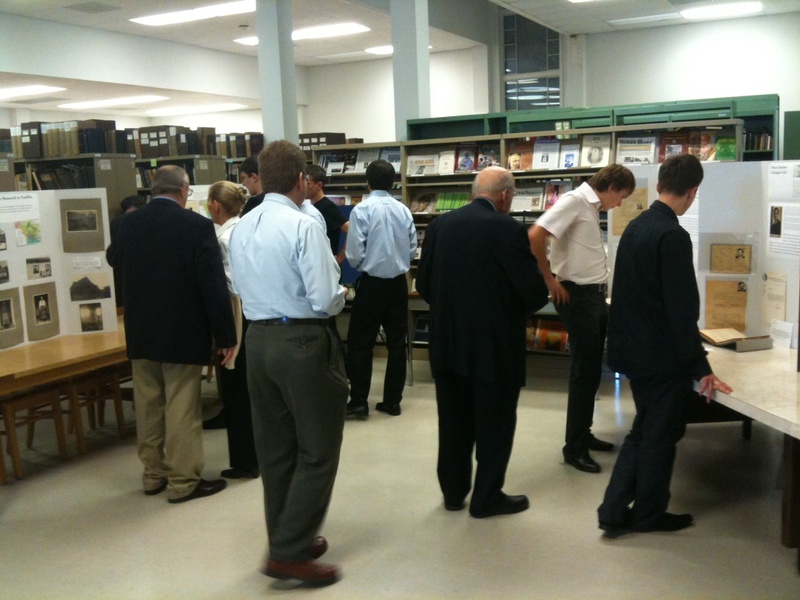 Visitors were able to meet the archivist, view selected items from the archival collections, and learn about the variety and scope of our holdings. Approximately 40 people attended, including visitors from as far away as Stamford, CT and Syosset, Long Island. 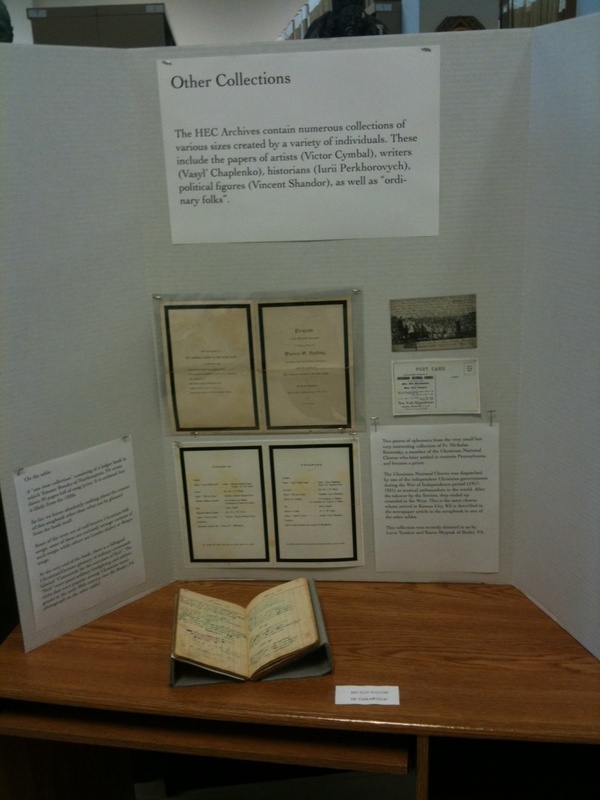 They were able to view items from the Balabas and Serdiuk Papers, the UAOC Administrative Records (including examples of genealogically important items such as personnel and relief aid distribution records), photographs and scrapbooks related to Ukrainian-Americans in the 1920s, and items from the ethnographic research collection of Konstantyn Moshchenko.